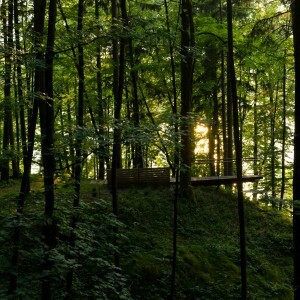 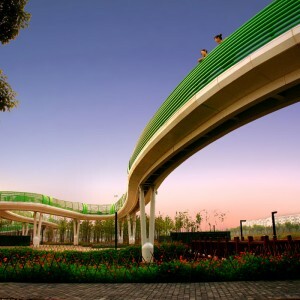 Turenscape: The Long Sleeve Skywalk is a simple but graceful integration of complicated urban functions with poetic space. 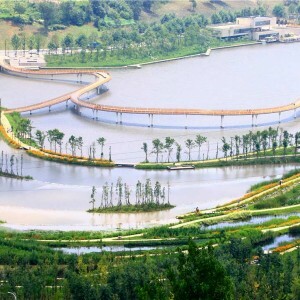 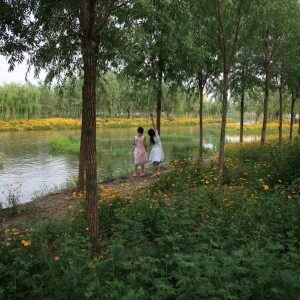 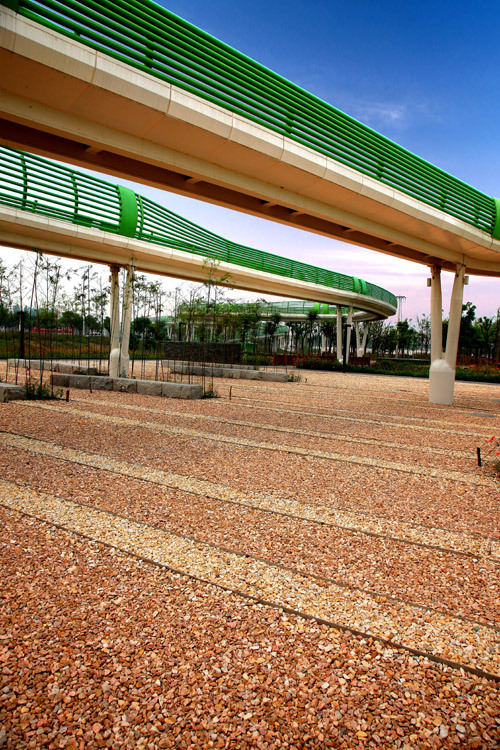 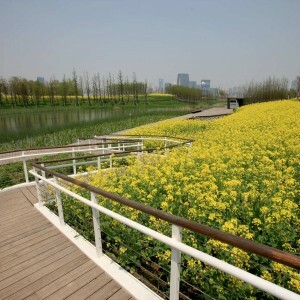 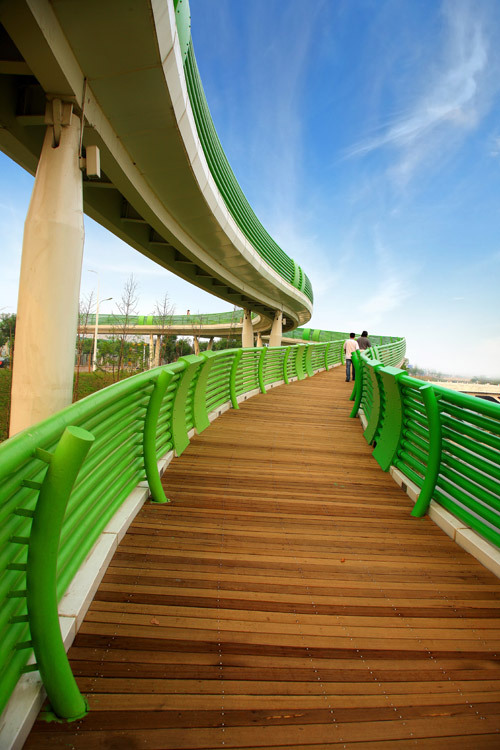 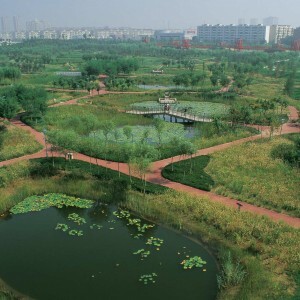 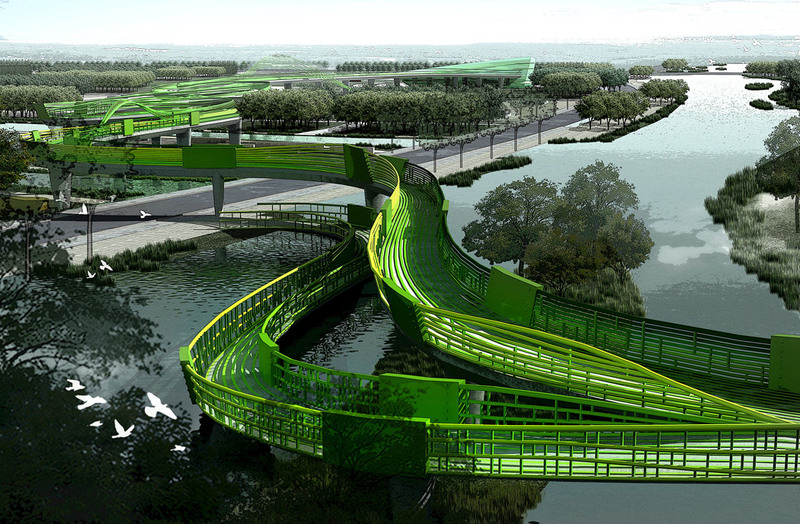 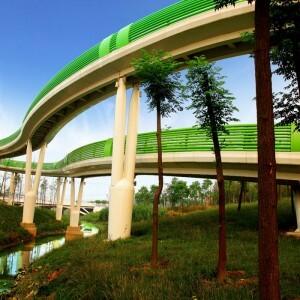 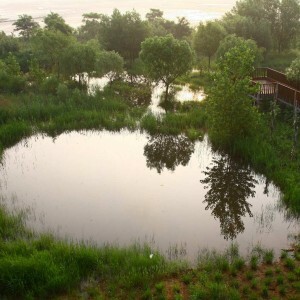 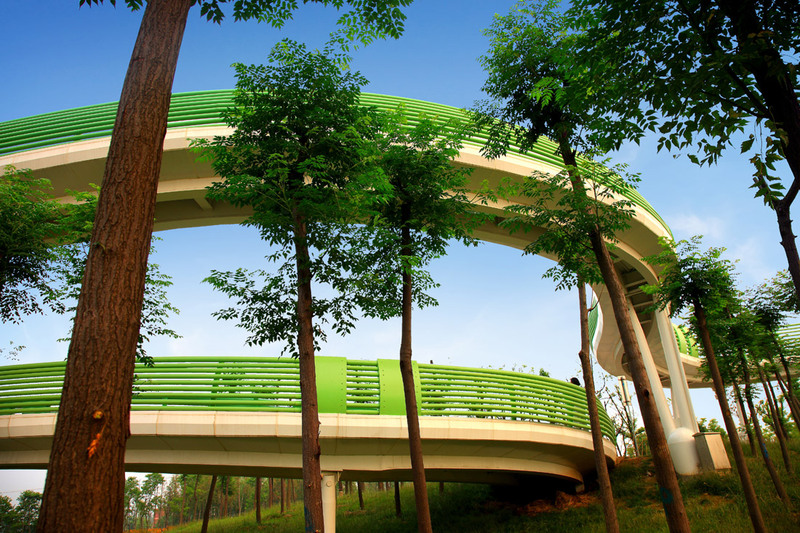 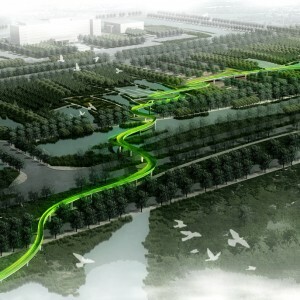 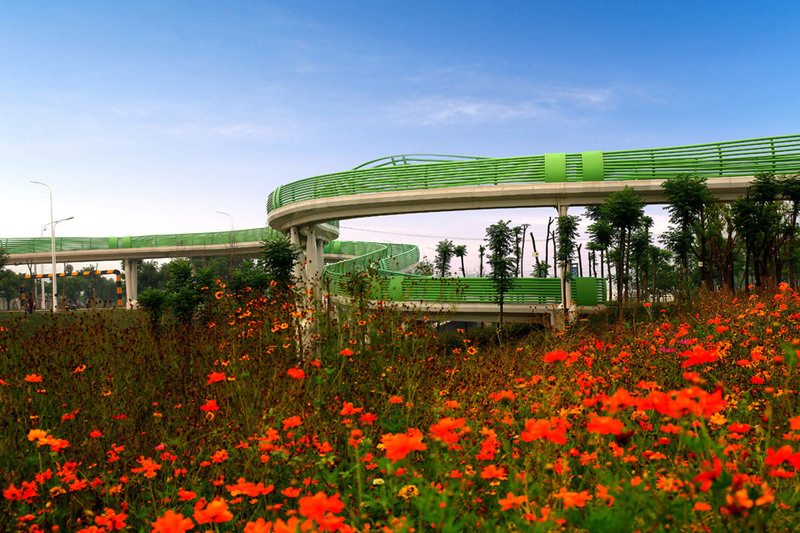 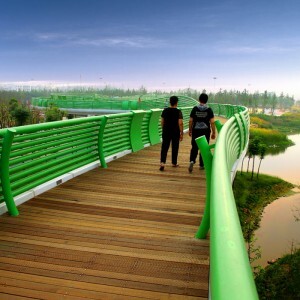 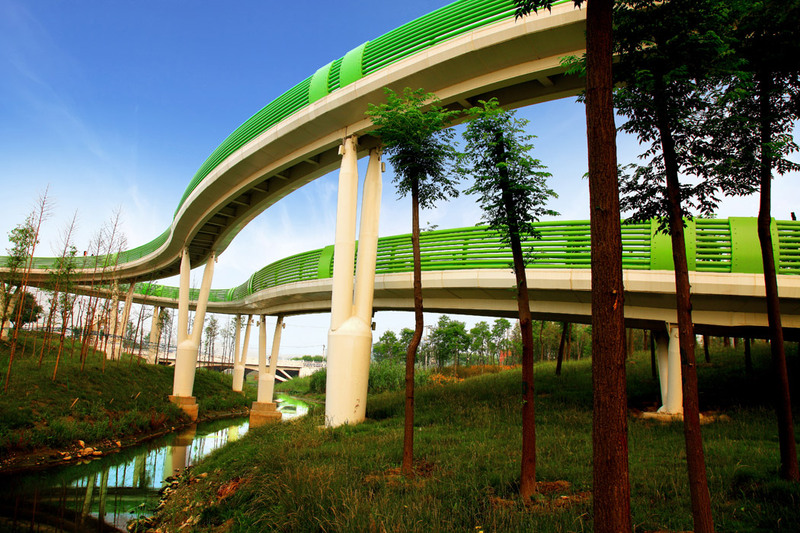 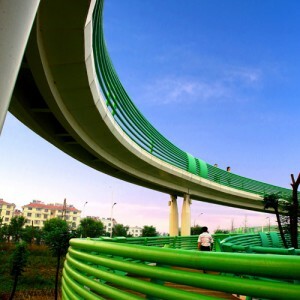 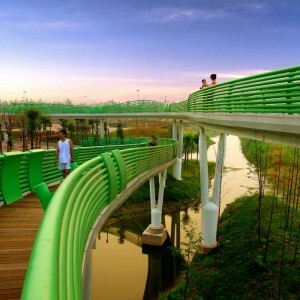 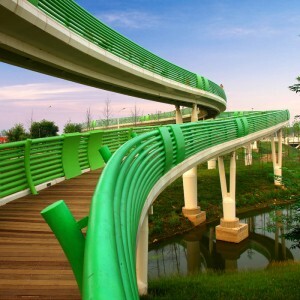 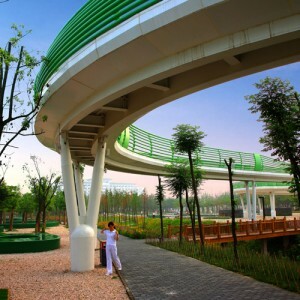 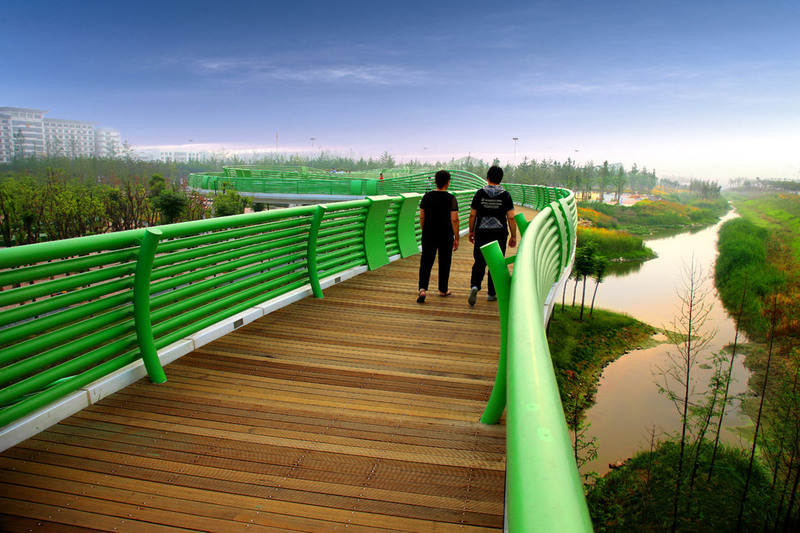 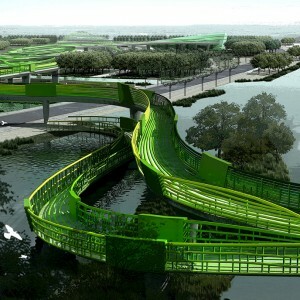 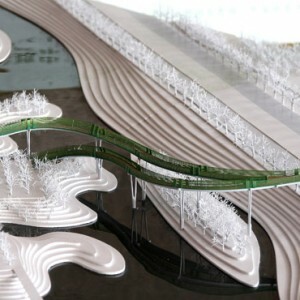 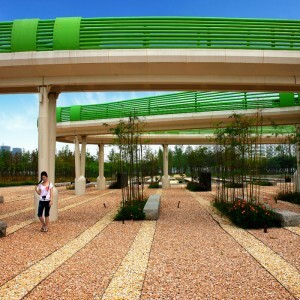 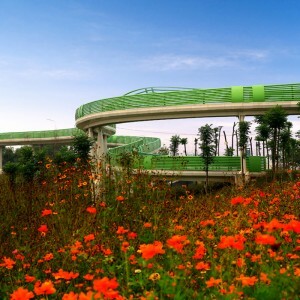 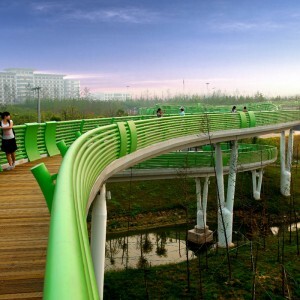 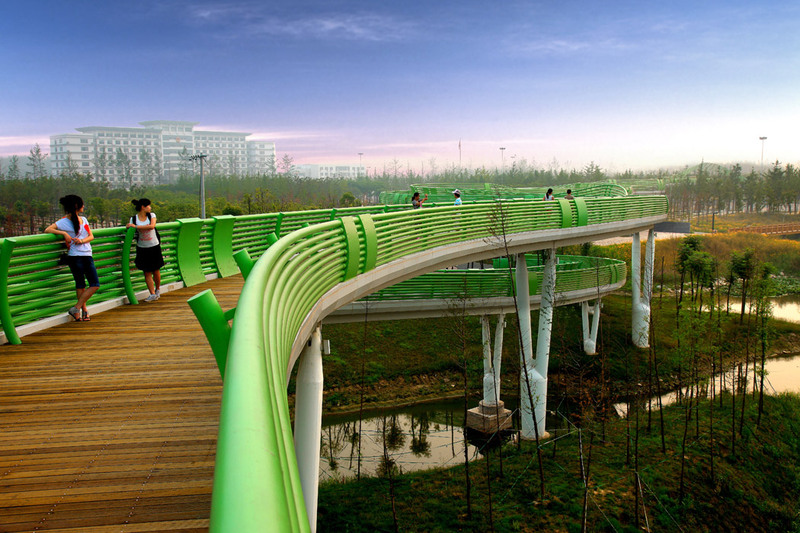 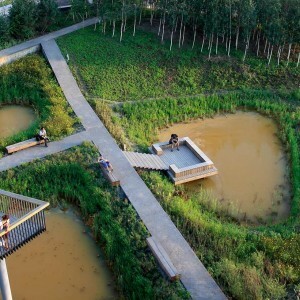 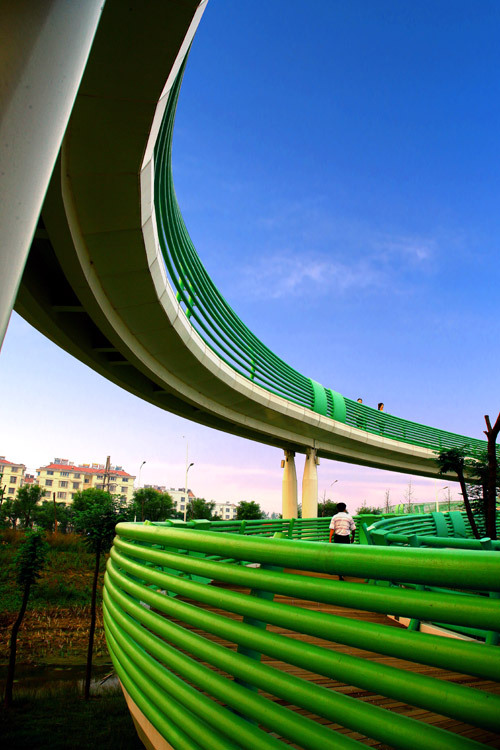 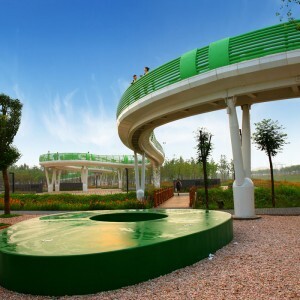 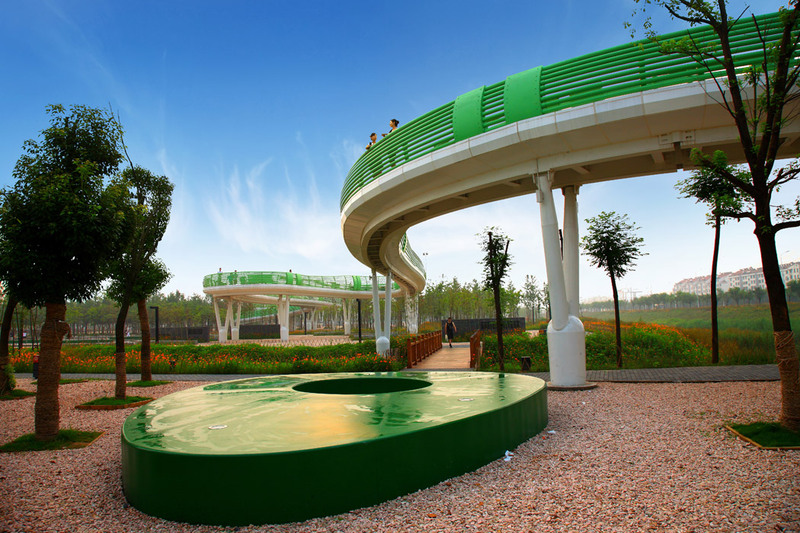 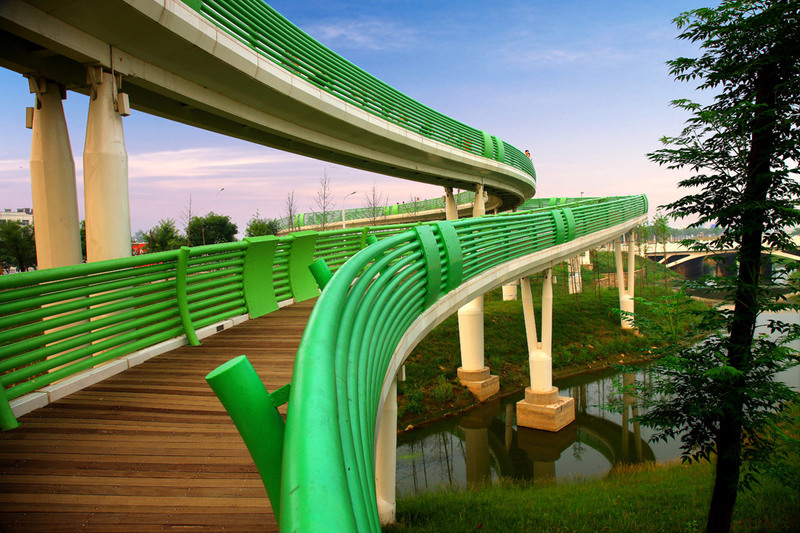 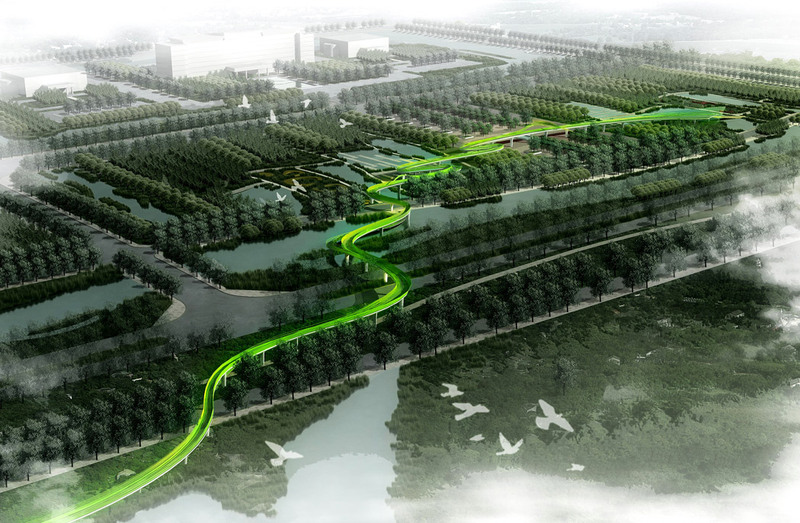 Straddling across several river systems and a express way （Xuning Road）, the Long Sleeve Skywalk is located on Xuning Road, Suining County, Jiangsu Province. 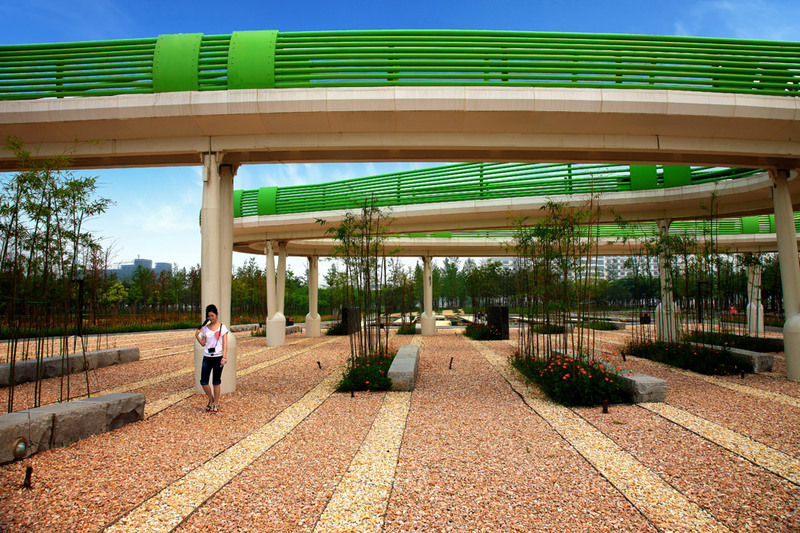 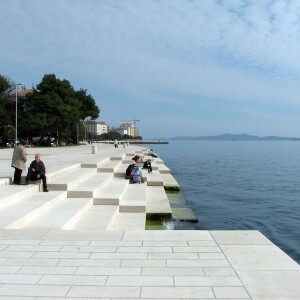 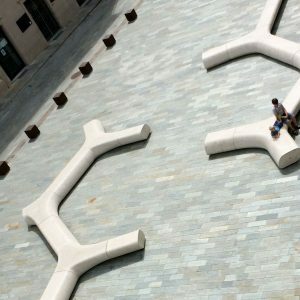 It connects the focal point of the county, Harmony Square, to the Forest Plaza across the road. 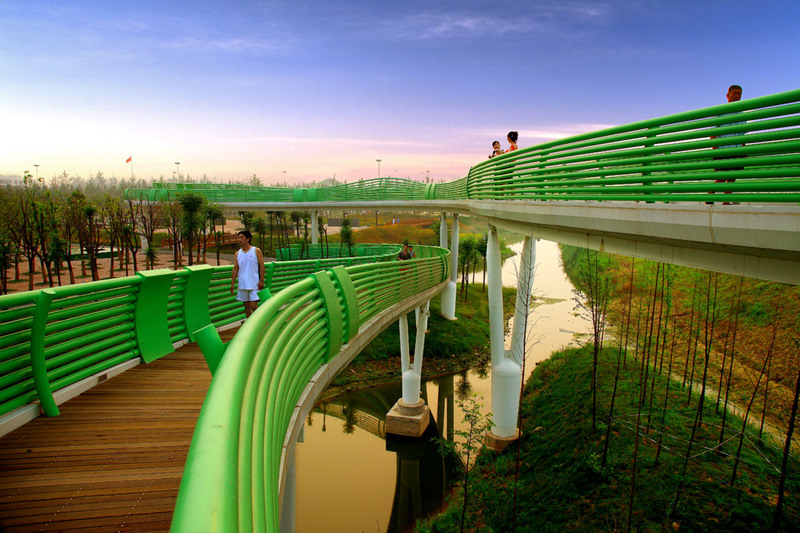 The main bridge spans 635m across, with a total construction length of 869m, and covers a total area of 2700 m². 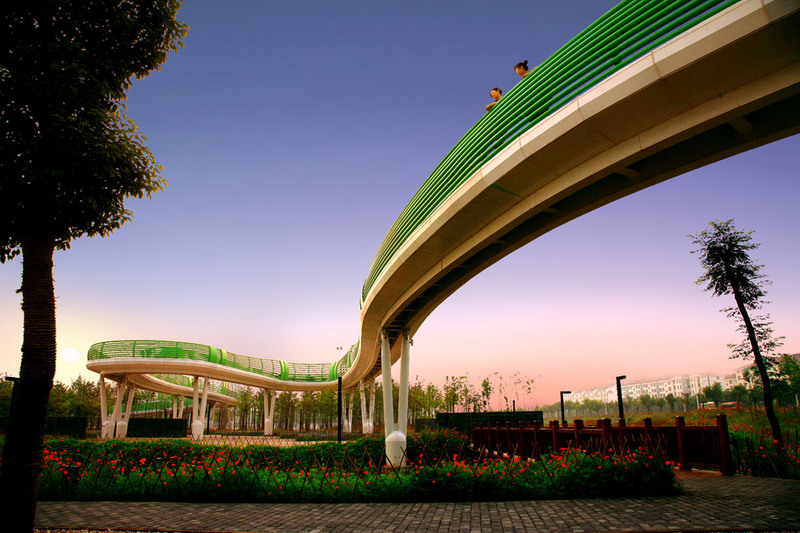 Four auxiliary bridges span a total length of 242m, with decks ranging from 2.5m to 9m wide, sloping from 0.4 to 12.6%. 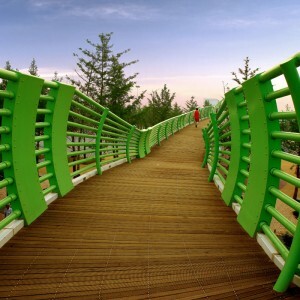 The bridge spans a net height of 4.5m over the road pavement below. 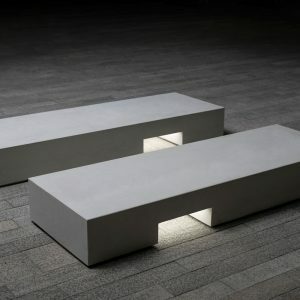 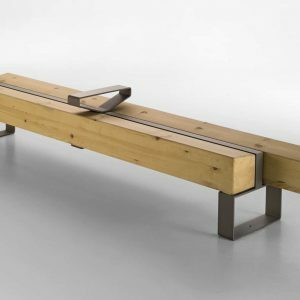 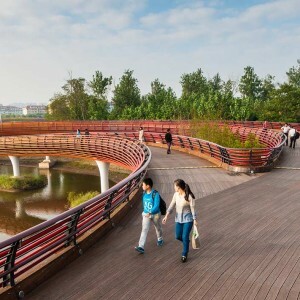 Based on the initial premise, the bridge is designed to strengthen the spatial connections between Harmony Square and Forest Plaza to ensure safe pedestrian crossing. 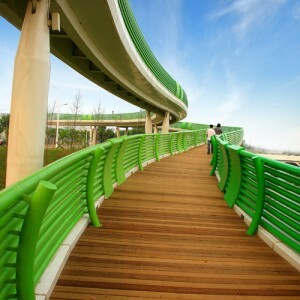 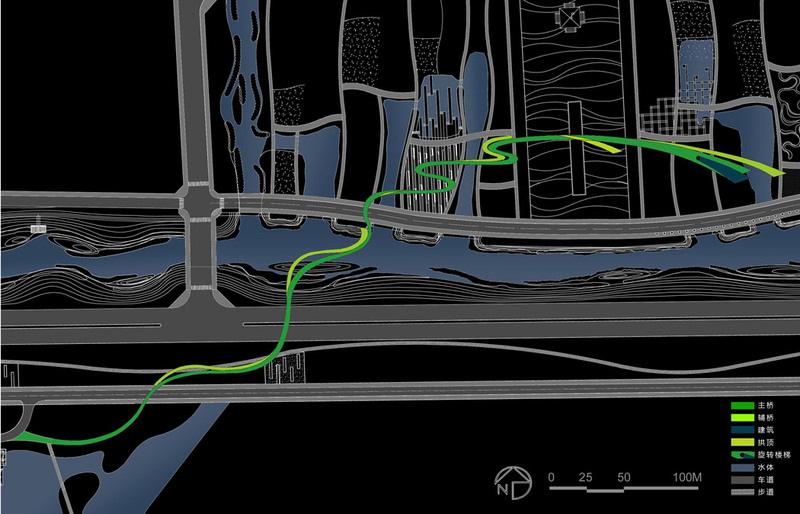 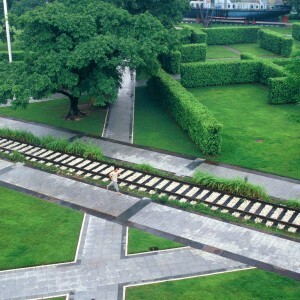 This is achieved by separating and elevating the pedestrian pathway(s) over fast moving traffic on Xuning Road. 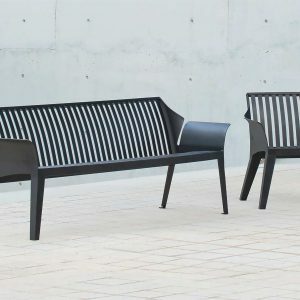 Beyond meeting the basic requirements, the design was inspired by the dancing shadows of long sleeves in the Chinese operas like Peking Opera. 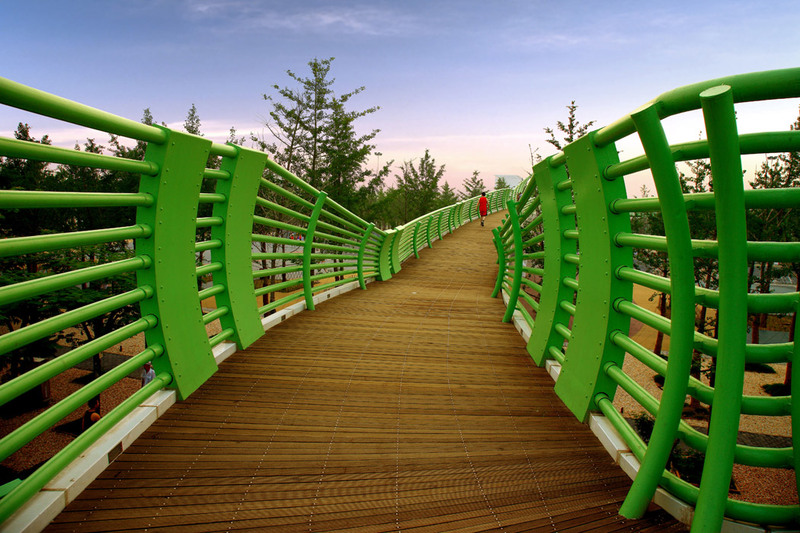 In addition, the bridge’s intricate light display system glows softly at night as it weaves fluidly between the city square, waters, and woodland. 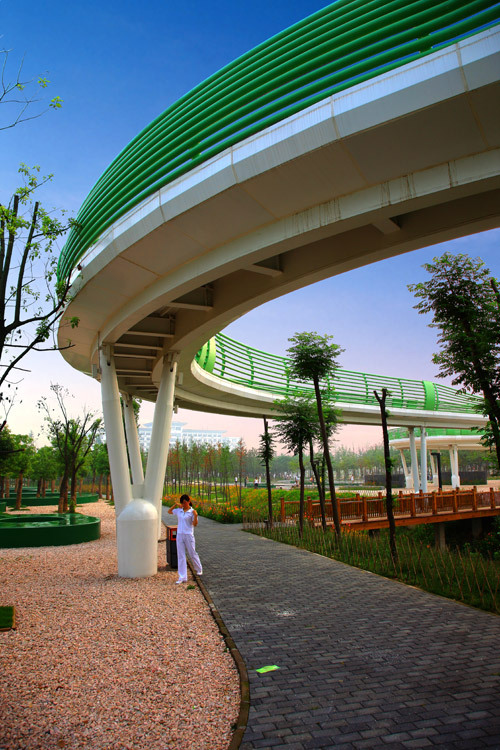 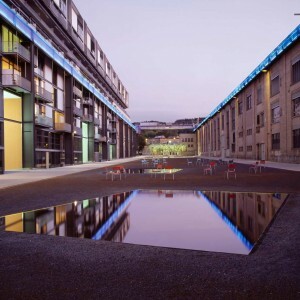 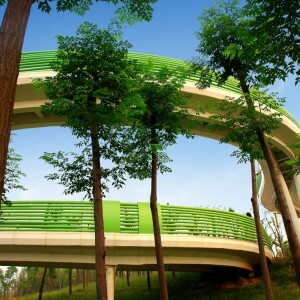 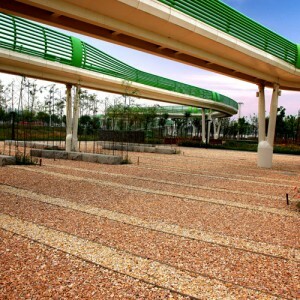 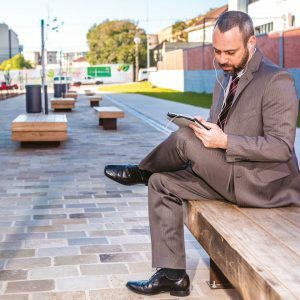 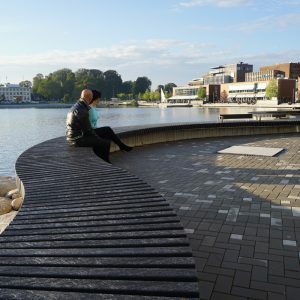 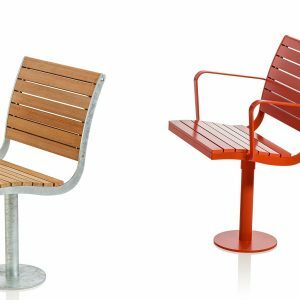 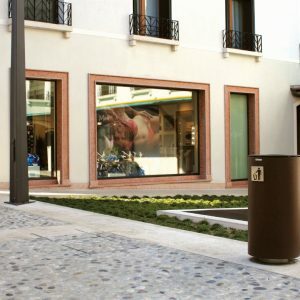 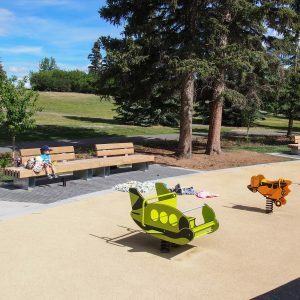 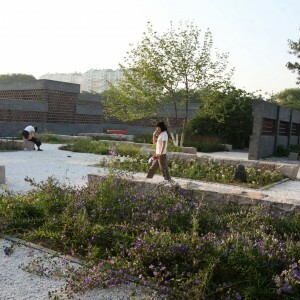 The Long Sleeve Skywalk sets an example of the artful integration of function and form of urban landscape elements, and turn urban infrastructure into an artful landscape.